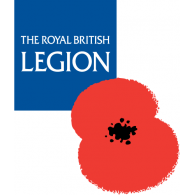 Welcome to the website of the Royal British Legion Croxley Green Club. The club has been at the heart of the community at Croxley Green since it opened in 1923. Originally opened to give comrades from WW1 a place to meet in more recent times the Club has opened its doors to the community and now prides itself on having members from all walk of life. You don’t need to be a current or past member of HM forces to become a member, the general public are welcome to become a member. • Baby changing facilities and disabled toilet facilities. • Members bar with air conditioning, Widescreen TV, Free Wifi and background Music, Fruit Machines, Card Payment facility, Car Parking, CCTV, Decking Area, Heated Smoking Area. For further information use our Contact Page and submit your enquiry, we would be delighted to welcome you.